OnePlus is no longer satisfied to launch just one flagship phone each year. Just like last cycle, we're faced with a new OP smartphone that's not entirely new. OnePlus has just unveiled the OnePlus 5T, and it's very much the phone you expected to see. That's not just because of the leaks—we all sort of know what to expect from OnePlus now. That's not necessarily a bad thing, though. Even with the small price hike, this still seems like a strong competitor. 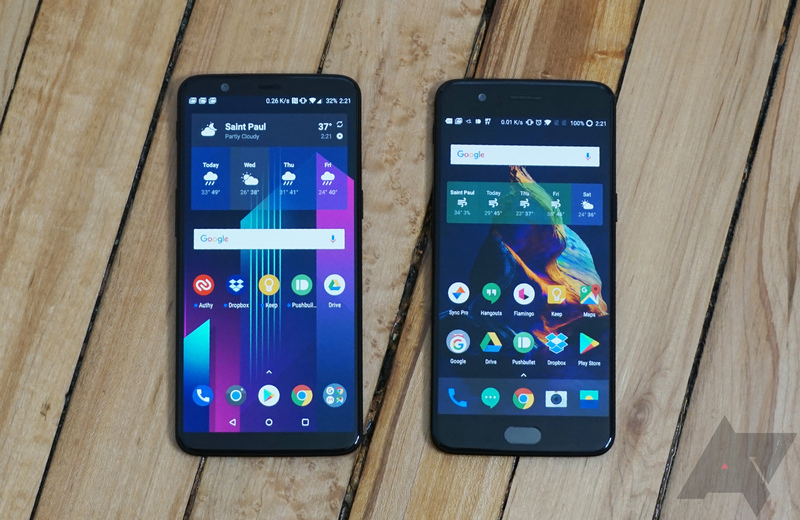 The OnePlus 5T looks and feels a lot like its predecessor, the OnePlus 5, which only launched a few months ago. Whereas last year the 3T was externally identical to the OnePlus 3, changes to the 5T are mostly external. 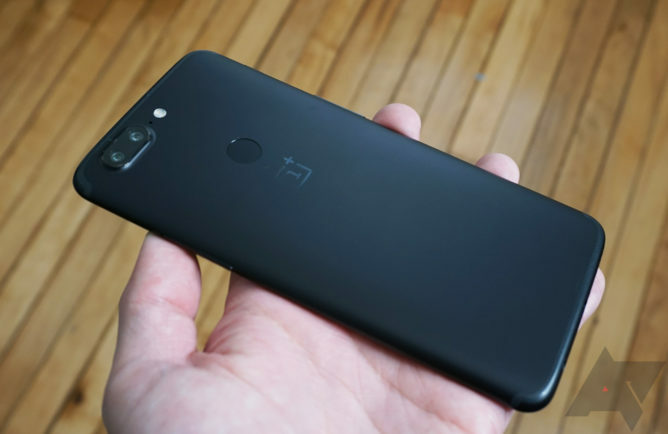 The OnePlus 5T has the same unibody chassis as the OP5. There's still a "rounded chamfer" that tracks along the edge, and even the anodizing finish is the same. That is to say, it's really smooth. I'm pleased that OnePlus is sticking with aluminum instead of going to glass like so many other OEMs. Still, I wish there was a bit more texture to the phone. OnePlus has been killing it when it comes to fingerprint sensors—the OnePlus 5 sensor was probably the fastest out there when it launched. However, the sensor was on the front of the phone. I know some people like that, but I much prefer fingerprint sensors to be on the back. That's where the 5T has relocated the sensor, so I'm digging that. The speed and accuracy are still good, but it might be slightly more sluggish than the OP5's sensor. I'll need more time to get a feel for that. The cutout for the sensor might be too shallow—it's almost flush with the surface. A more substantial lip around the sensor would make it easier to find by touch and help to stabilize the phone in your hand. The fingerprint sensor had to move because of the most significant change to the hardware. The display is now a larger 6-inch OLED panel with an 18:9 ratio. The resolution is 1080x2160—OP has resisted the urge to hop on the 1440p bandwagon. The default calibration is very vibrant, maybe too vibrant for some. There are several alternative calibration options including sRGB and DCI-P3. Calibration looks a bit more muted on the OnePlus 5T compared to the OP5 at all these settings, though. The taller screen is a win—this is definitely the direction I want to see phones going. And yes, this is still a Samsung OLED panel. You're probably wondering about jelly scrolling, though. I had a hard time noticing that on the OP5, but I've been staring at this panel to see if I can spot any hint of it. 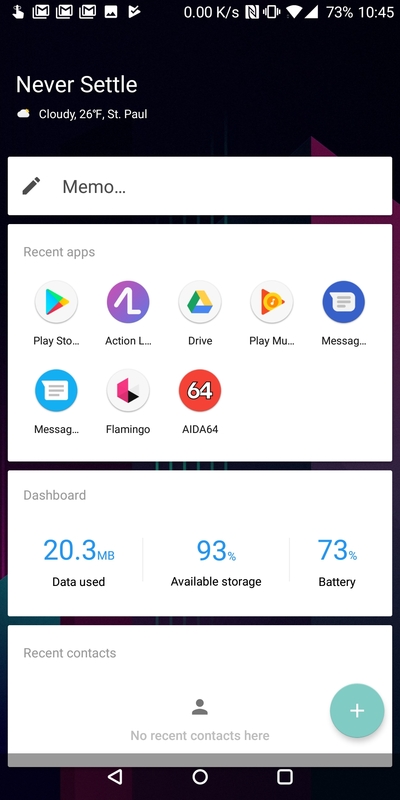 Thus far, I'm not seeing the jelly effect. While I have not had the 5T long enough to tell you for certain, I feel like this camera setup might be a step backward for OnePlus. Whereas the OnePlus 5 had a standard camera paired with a telephoto shooter, this phone has a regular 16MP camera and a secondary low-light module at 20MP. 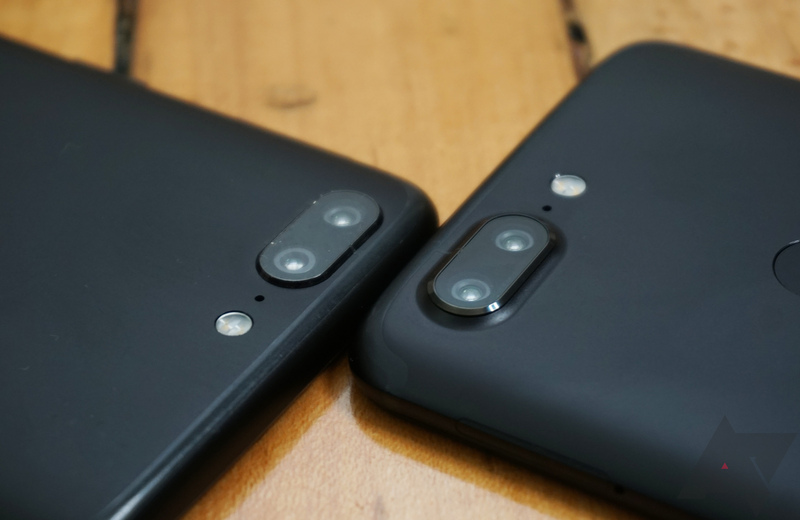 Both cameras have the same f/1.7 aperture, but the secondary camera apparently implements "Intelligent Pixel Technology" for enhanced low-light performance. The OnePlus 5T switches to the secondary camera whenever the ambient light drops below a 10 lux. However, it doesn't tell you when that happens in the UI. You're just supposed to trust the camera to do the right thing. I also think it's strange to keep the 2X zoom button in the camera app when you don't have a telephoto lens anymore. The zooming here is just digital zoom, but OnePlus swears up and down the quality has been improved thanks to its processing tech. So, I'm not sold on the value of that second camera yet. I will say having a second camera is useful if you want to take portrait mode shots. They'll come out better than most phones that have a single camera and fake depth sensing with software. You might also be interested to know the camera hump has grown slightly larger to accommodate the new camera module. 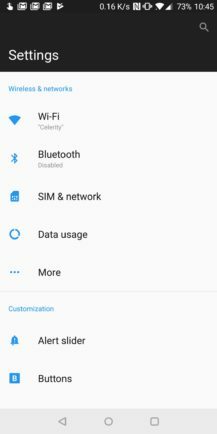 This phone still ships with Android 7.1.1 Nougat. OnePlus has the usual excuses about not launching with Oreo, and it says an update is coming. I have no doubt it'll get Oreo before most phones, but it's still strange to launch a new phone on last year's software. There aren't a lot of changes to talk about this time. There are a few tweaks to the settings menus, as well as some small visual alterations on the home screen. 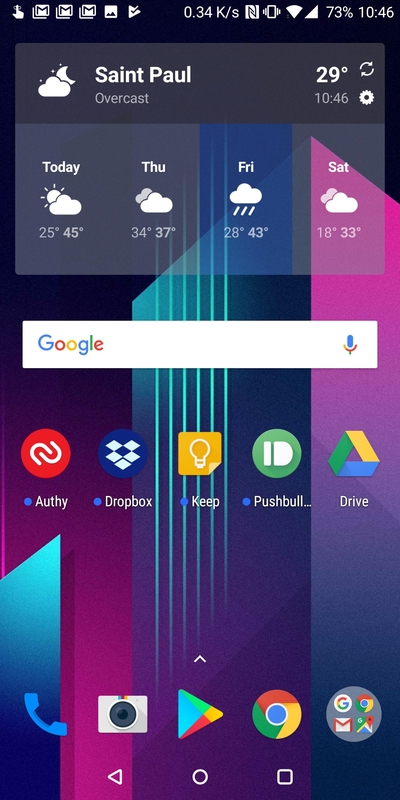 Now that OnePlus has switched to only having on-screen navigation buttons, it made a few customizations. 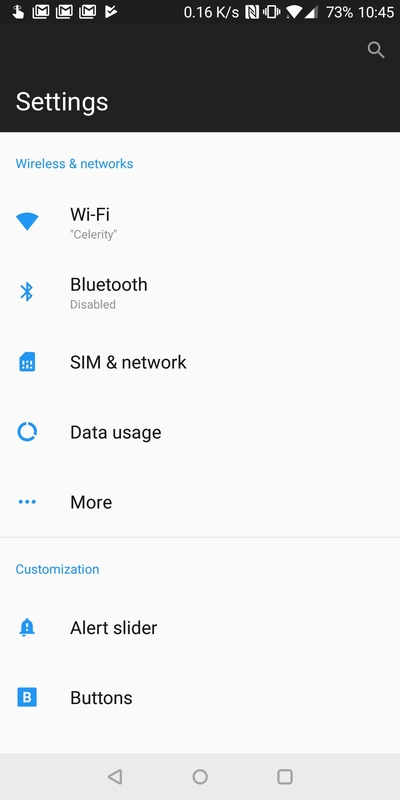 You can still swap the button order, but the style isn't straight out of stock Android anymore. The buttons are a bit smaller and closer to the middle, and they're gray on a light background instead of white on black. I expect this has something to do with minimizing burn-in. Probably the most prominent "addition" is a renewed focus on face unlock. You can thank Apple for that one. Oddly, the setup process doesn't suggest you add fingerprints to the OP5T. Instead, it pushes face unlock. There's nothing magical about face unlock on this phone. It just uses the front-facing camera, so it's not as secure or accurate as what Apple is doing. After setting up face unlock, I've had middling success unlocking the phone with it. Sometimes it skips the lock screen almost instantly. Other times the camera just can't get a clear look because I'm holding the phone at a bad angle or the light isn't right. This is probably why most phones don't make a big deal out of face unlock. OnePlus has increased the price a bit each time it announces a phone. This device will start at $499, just $20 more than the OnePlus 5. That's not bad as far as price increases go. The larger display and rear-facing fingerprint sensor are enough of an improvement for me to be okay with the price. However, the camera concerns me, and why doesn't this phone have Oreo? If you own the OnePlus 5, you're probably going to be okay sticking with that one until the next generation. We'll have a full review soon, so stay tuned. 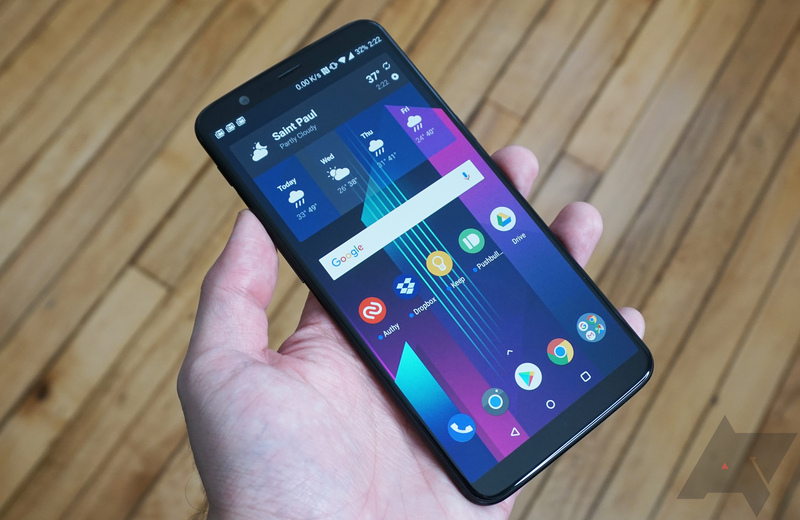 Update: Here is our OnePlus 5T review.